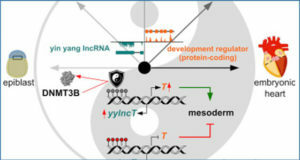 Long non-coding RNAs (lncRNAs) affect gene expression through a wide range of mechanisms and are considered as important regulators in many essential biological processes. 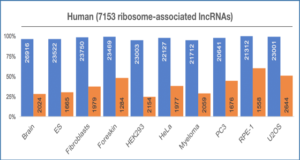 A large number of lncRNA transcripts have been predicted or identified in plants in recent years. However, the biological functions for most of them are still unknown. 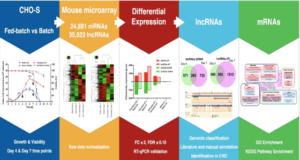 In this study, researchers from Texas A&M AgriLife Research Center identified an Arabidopsis thaliana lncRNA, Drought induced RNA (DRIR), as a novel positive regulator of plant response to drought and salt stress. DRIR was expressed at a low level under non-stress conditions but can be significantly activated by drought and salt stress as well as by abscisic acid (ABA) treatment. 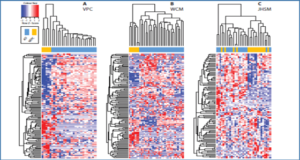 They identified a T-DNA insertion mutant, drirD, which had higher expression of the DRIR gene than the wild type plants. The drirD mutant exhibits increased tolerance to drought and salt stress. 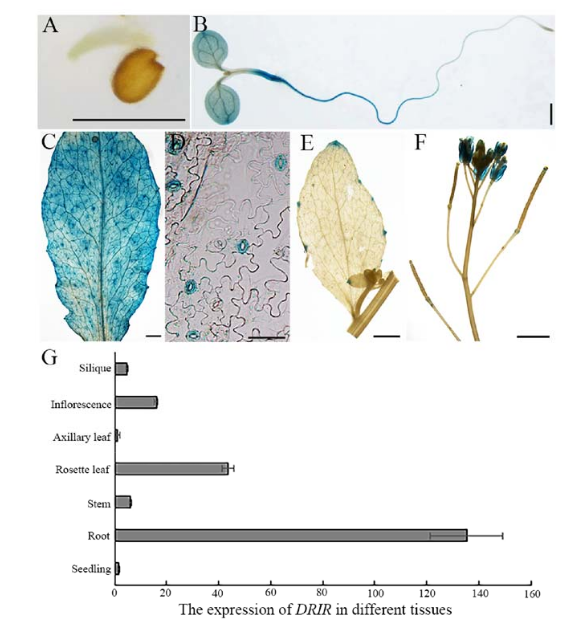 Overexpressing DRIR in Arabidopsis also increased tolerance to drought and salt stress of the transgenic plants. The drirD mutant and the overexpressing seedlings are more sensitive to ABA than the wild type in stomata closure and seedling growth. 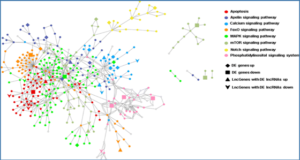 Genome-wide transcriptome analysis demonstrated that the expression of a large number of genes was altered in drirD and the overexpressing plants. 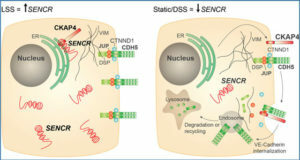 These include genes involved in ABA signaling, water transport and other stress-relief processes. This study reveals a mechanism whereby DRIR regulates plant response to abiotic stress by modulating the expression of a series of genes involved in stress response.